Uber It is one of the companies that is captaining the process of digital transformation of the new economy, a person born in Silicon Valley startup that has revolutionized the service of private passenger, through a marketplace connecting through their mobile application to individuals with drivers and with a current rating above 65 billion. Uber is present in some of the most important cities in the world. Customers reserve their car by using the app which allows them to track at all times where is the vehicle of choice. On my last trip to New York I could try this application and I have to confess that the experience was excellent. We can not forget the various conflicts that this initiative has in many cities, mainly affecting the union of taxi drivers required for this service regulation which equates with providing taxis. In other cities they are more radical and directly want to prohibit it. This week announced on his blog the launch of UberEATS its new application, which it is already available on both iOS and Android. It represents the final step to also become A shuttle service food delivery connecting local restaurants with diners, Pilot versions after the company launched in Los Angeles and Barcelona. And it works in cities like Chicago, Houston, The Angels, San Francisco, and Toronto, every day of the week in both the food and turn the dinner. Soon it will be available in Atlanta, Austin, Dallas, Melbourne, NY, Paris, Seattle y Washington. 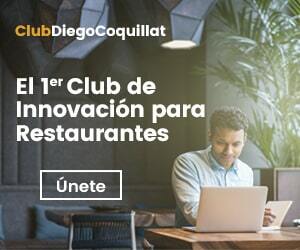 with its “Instant Delivery” aims to make the delivery of food in less time 10 minutes, offering menus that change every day some specific products like sandwiches, salads, burritos o sushi, charging a flat fee for the service three or four dollars. It seems that the news has not gone down too well in the sector and Grubःub, one of the leading US companies in Food Delivery, after the announcement reached record low price in trading on the stock market. The evidence so far that the company had made to transport food delivery had been within its own generic application. Seems to have realized that request for a passenger transport and order delivery services are two totally different requiring a customized digital user experience. This is the reason that has prompted them to create a standalone application to passenger transport service. According to statements by Jason Droege, Head of UberEVERYTHINGS, “with the launch of the application UberEATS we are providing a fully adapted to foods to help our customers achieve the perfect food experience. Similarly to Uber makes it easy to go from point A to B, UberEATS makes it easy to get food from the best restaurants in town“. Definitely, Uber joins the already long list of almost technology companies that facilitate food delivery service to its customers. The differential of this company is that It has the largest fleet of private drivers in the world and incorporates new services that can bring added value to their customers, to restaurants and, How could it be otherwise, your own business. The company is also being tested with other types of transport and household items, small packages, flu shots and helicopter rides for wealthy clients. Poll: Do you think a service like #UberEATS work in Spain?